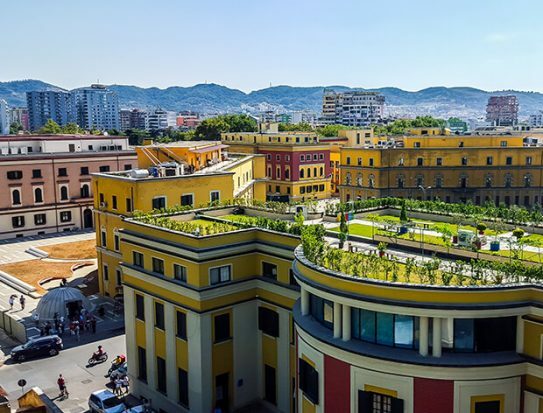 The European Bank for Reconstruction and Development (EBRD) has provided a €5mn loan to Intesa Sanpaolo Bank Albania (ISBA) to finance women-led small businesses in the country. The five-year loan to ISBA is part of the EBRD’s Western Balkans Women in Business Programme, and follows a €2mn facility from 2015, which has now been fully utilised by a total of 147 women entrepreneurs. Silvio Pedrazzi, CEO of ISBA, says that this new loan will “support the introduction of even more inclusive, sustainable and gender-responsive products specifically designed for female entrepreneurs”. A spokesperson for the bank tells GTR that these products include working capital loans of up to €50,000 and investment loans of up to €200,000, which include the possibility of skipping up to six months of instalments in the case of maternity leave. The loans offered to women entrepreneurs through the programme also include mentoring from EBRD and ISBA experts as well as advisory services to promote their participation in business. Government figures show that women run about 31% of small and medium-sized enterprises in Albania. According to the EBRD, the loan will contribute to their greater economic inclusion by supporting access to finance, while also demonstrating the business case for scaling up lending to women-led firms. Part of the EBRD’s work in the Women in Business Programme is to promote understanding among on-lending bank partners that women-owned enterprises present strong commercial potential. Zsuzsanna Hargitai, director, regional head of Western Balkans at EBRD, points out that the programme currently has zero non-performing loans, demonstrating the opportunity arising from the women’s banking market. The programme in the Western Balkans, launched in 2014, has to date provided over €30mn to partner financial institutions to lend to women-led SMEs throughout the region.